6.5' Pre-Lit Christmas Trees Only $39 + FREE Store Pick Up! You are here: Home / Great Deals / 6.5′ Pre-Lit Christmas Trees Only $39 + FREE Store Pick Up! 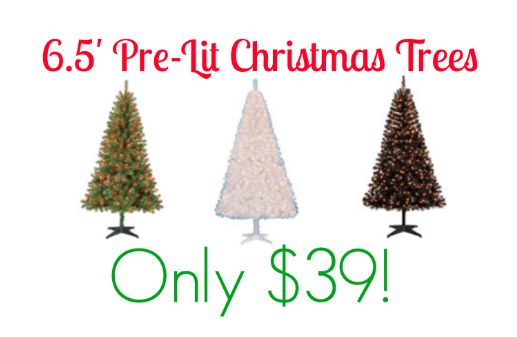 6.5′ Pre-Lit Christmas Trees Only $39 + FREE Store Pick Up! Looking for a pre-lit Christmas Tree this year? Well, I just spotted this awesome deal on these 6.5′ Pre-Lit Christmas Trees for only $39 + FREE Store Pick Up!